Shelly was born and raised in beautiful Georgia. Once she decided meteorology was her passion, she pursued that dream at Florida State University where she got her Bachelor’s of Science in Meteorology and also received her minor in Mathematics. While at FSU, she volunteered for a student-run, thirty minute weather show. Her broadcast meteorology teacher said she had real potential, and Shelly has never looked back since. 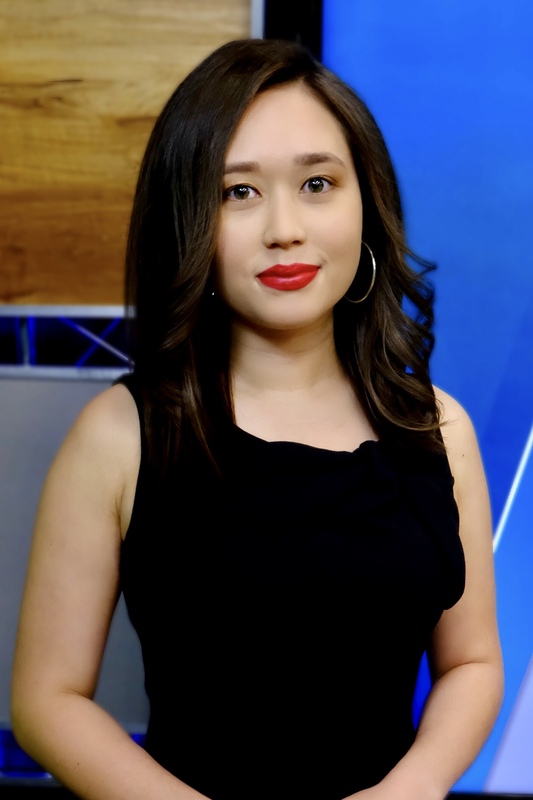 Before joining WeatherNation, Shelly worked at KIEM-TV in Eureka, California. There, she dealt with floods, fires, rough seas, extreme temperatures, and much more. This only enhanced her love of broadcast meteorology and her love of keeping the public in the know when it comes to weather! One day, while in my freshman year of high school, I just decided that meteorology was going to be my major in college. Math and science have always been my strongest subjects. I always loved watching the weather on TV. During my high school years, I learned that my grandmother had actually been a meteorologist. She went to Humboldt State University, and I didn't even learn that bit of information until a year into my first job that happened to be fifteen miles away from the university! So I guess it just runs in the family! There really isn't just one memorable weather experience for me. There are multiple. One day I looked at the blue sky in my backyard, realized how beautiful it was, and decided I wanted to know everything about our atmosphere and how different types of weather formed. I went on to see amazing lightning strikes in Florida thunderstorms, felt hurricane force winds, saw hail drop at a moments notice, saw the destruction of landslides and fires in California, and felt chaos unfold when a tsunami watch was issued on the north coast of California. There's nothing that Mother Nature can throw at us that doesn't get me excited! Being in nature whenever I can be. If I'm not at work, I am likely hiking in a state/national park or discovering new parts of the country. On top of that, I love fishing. I grew up fishing with my dad, and I have never lost interest. There's just something wonderful about spending a day on the quiet river, relaxing, and bonding with your family. I also love kayaking, canoeing, finding new, natural swim spots, and being out at the beach. I think we can also tack on shopping as one of my favorite hobbies! I would have to say my meteorology teachers in college have influenced me the most. I thought I would be working with the National Weather Service one day, but they really pushed me when it came to being in front of the green screen. I didn't know I would be pursuing TV until I took a meteorology broadcasting class, and my teacher said I had great potential. Also, just seeing how much my meteorology teachers loved teaching us about weather really helped put that spark in the subject. They always seemed so passionate about everything they were saying, and it just helped make me even more passionate about learning. I absolutely love to sing! I have been singing since I was a little girl. I took choral classes in middle school and high school, participated in talent shows, and sang in musicals throughout high school. Now, instead of a stage, you can catch me singing in the car, shower, or while cooking dinner! In this day and age, social media is a huge part of everyone's lives. Everyone is always turning to their phones or computers to get the latest news updates. I hope that in the near future, weather applications and websites can produce weather updates in real time with the best accuracy possible, especially during severe weather events. I also hope that meteorologists, not necessarily just broadcast meteorologists, can connect with the public and emergency management type agencies in a better way; more one on one meetings for big weather events.